Letter Press Book of Thomas Ewing, Jr. He moved to Kansas Territory in 1856 and established a law practice in Leavenworth. 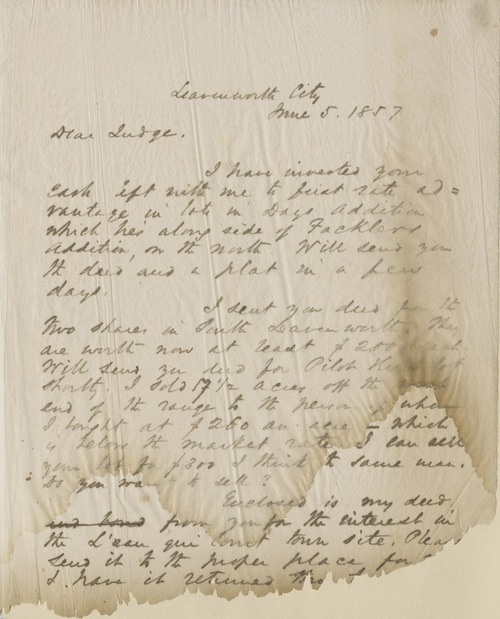 It is from this town, Kansas Territory's largest city, where he also had many investments, that he wrote Judge M. F. Moore, Sioux City, Iowa, regarding Moore's investments and other opportunities in Leavenworth.